The Trump Administration’s policy towards Africa has shown continuity with previous administrations, in terms of trade, economic development, and military strategy. Yet, many other aspects remain to be fleshed regarding the Administration’s approach to Africa. The G5 Sahel plays an important role in sustaining human security across the region, in order to address persisting security threats it should enable the Sahel’s civilian and military communities to work together. Africa’s maritime security faces many challenges, the creation of an Africa centered Zone of Peace and Cooperation could address continental maritime peace and security issues. The creation of the AfCFTA is a landmark first step towards long-term sustainability and development on the continent. 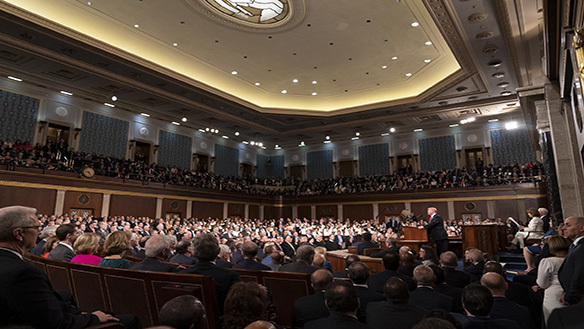 Trump never mentioned Africa during his February 5, 2019 State of the Union address, and rarely has Africa featured in the president’s major foreign policy priorities. Instead, Mr. Trump has tended to frame foreign policy objectives as extensions of domestic policy, indicative of his “America First” approach to international affairs. Foreign policy experts must, therefore, analyze his words through this lens, as domestic issues in the Trump Administration can carry real weight abroad and hold key insights into the president’s primary concerns and objectives. The president’s foreign policy priorities for Africa, as outlined by National Security Advisor John Bolton on December 13, 2018, and Trump’s State of the Union speech two months later, shed light on the administration’s chief concerns for the future of U.S.-Africa relations and contain major implications for American engagement on the continent. 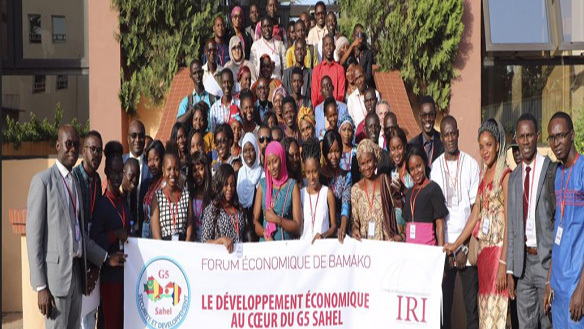 Participants from the G5 Sahel Investment Conference in September 2018, a joint conference by the International Republican Institute, the G5 Sahel Permanent Secretariat, and regional youth leaders which aimed to publicize economic investment opportunities for young people in the Sahel. Photo courtesy of the International Republican Institute. In December 2018, leaders of the G5 Sahel Joint Force Member States—Mali, Mauritania, Chad, Burkina Faso, and Niger—and international donors gathered for a coordination conference in Nouakchott, Mauritania to orchestrate funding for the Joint Force’s Priority Investment Program (PIP) aimed at addressing the Sahel region’s chronic violence and fragility. The G5’s PIP reflects the strategic intention to operationalize the Joint Force as an instrument both of security and development—a strategy that would adequately address the complex socio-economic, political, and climate change challenges driving instability across the region. 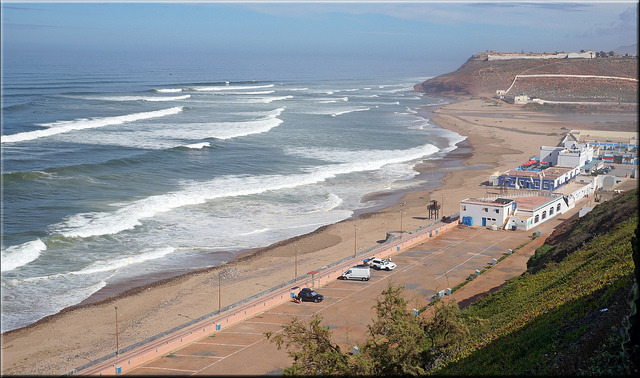 The Atlantic Ocean along a shoreline in Ifni, Morrocco. Picture courtesy of mbohl via Flickr Commons. African peace and security challenges in relation to the continent’s wider maritime scope and its interplay with external political actors receive little attention. Yet, much of the internal politics that affect peacebuilding in Africa involve interregional actors, such as Europe and the Mideast. 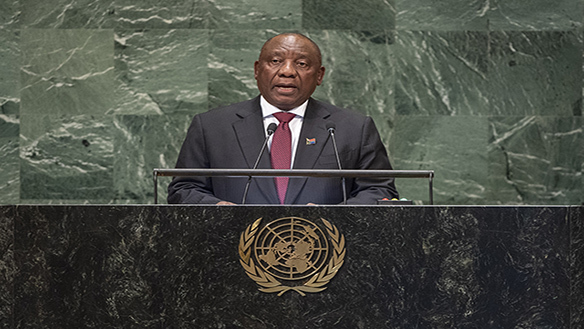 This lack of attention is not seen in the South Atlantic where the Zone of Peace and Cooperation in the South Atlantic (ZPCSA), operates as a multilateral platform between some African and South American nations. 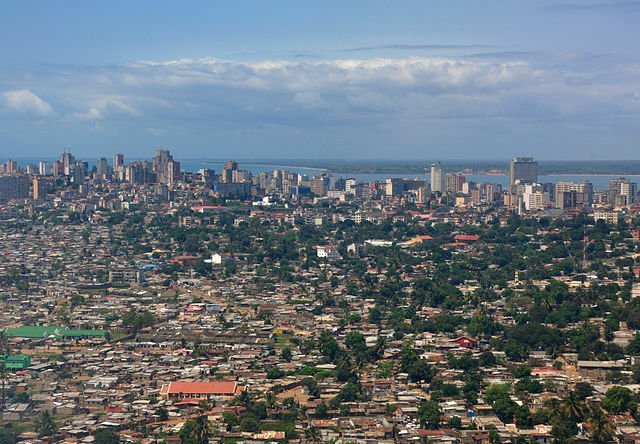 The ZPCSA’s goal is preserving regional peace and a nuclear-free-zone in regions where documented illegal trafficking flows link South America, West Africa, and Europe, and security challenges plague the Gulf of Guinea, a transport nexus in the Afro-Atlantic oil trade. 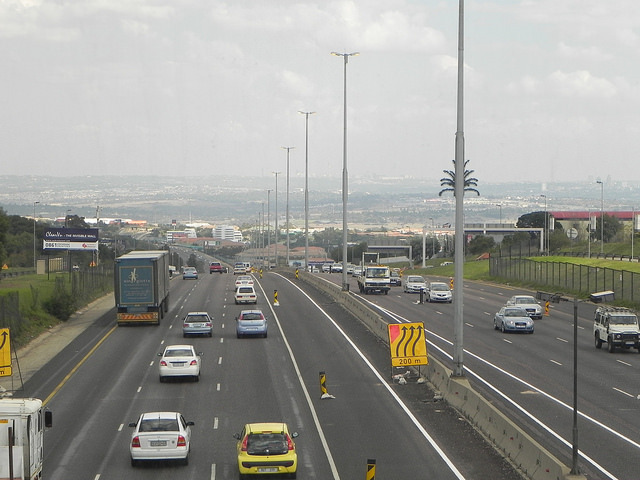 N1 Highway Midrand in Johannesburg, South Africa. Photo courtesy of Paul Saad via Flickr Commons. Developing countries are most vulnerable to the effects of climate change, such as drought, flooding, severe weather events, and threats to humanity’s basic needs like food, water, energy, and shelter. The African continent knows much about the impacts of climate change. But what can it do about it? The province of KwaZulu Natal, one of South Africaís most important farming areas and suppliers of water. Photo courtesy of the United Nations. 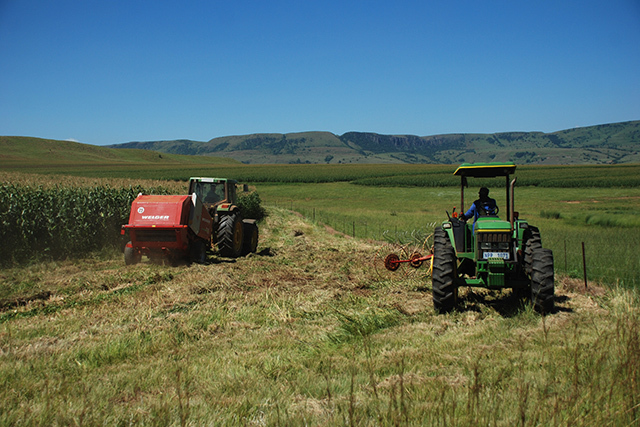 The politics of land reform is a constant feature in the political landscape of South Africa. Historic grievances, poverty, and food insecurity combine for a potent discourse, which has led to ineffective government policy. Land reform has a clear documented impact on peacebuilding. What is less certain is its impact on successful climate change adaptation, particularly the growing problem of water scarcity. South Africa is currently suffering from its worst drought since records began and its warming climate combined with its semi-arid environment renders it prone to limitations in the water supply, which is a scarce resource that is overused by current agricultural practices. South Africa’s dualistic agricultural sector—often framed as agri-business and small-scale farmers—is at the forefront of climate change vulnerability and adaptation efforts. However, the prism of land reform continues to direct climate adaptation discourse in South Africa. 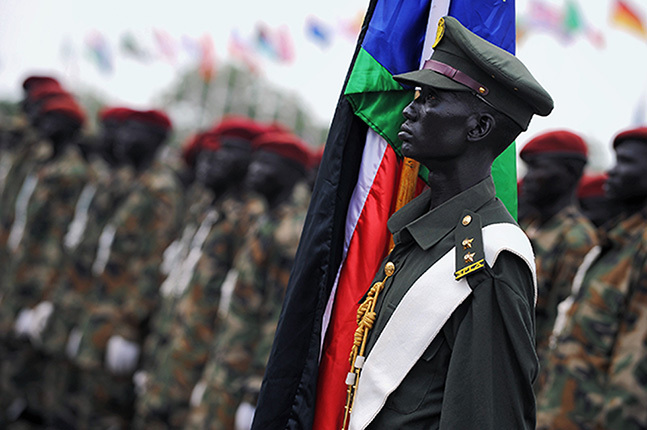 An officer of the Republic of South Sudan holds the nation’s flag during the historic Independence Ceremony. Photo courtesy of the United Nations. President Salva Kiir of South Sudan and rebel leader Riek Machar signed a preliminary power-sharing agreement on August 5, 2018. 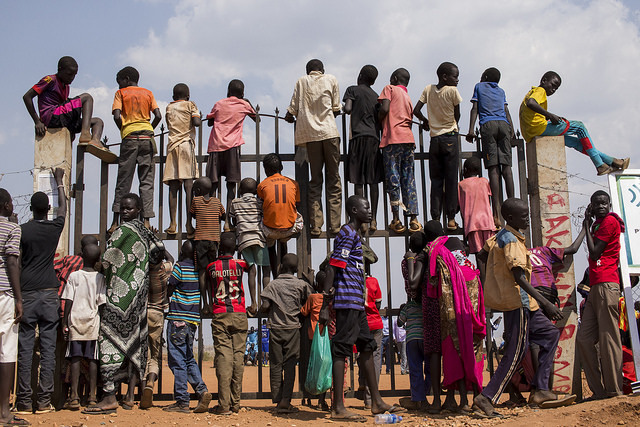 The deal, which returned Machar to his position as the First Vice-President, was the latest of multiple ceasefire and peace agreements in the country. Prime Minister Abiy Ahmed and H.E. 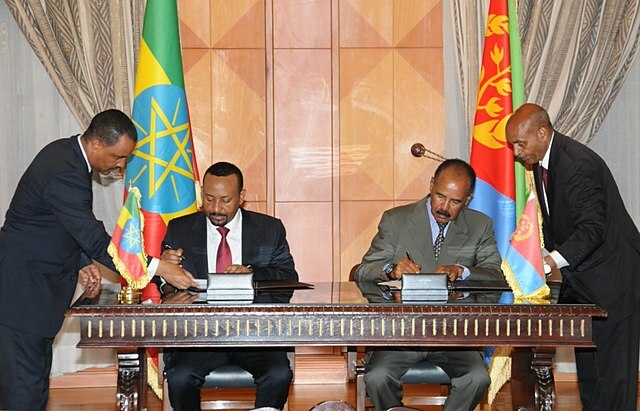 President Isaias Afwerki signing the joint peace agreement. Photo courtesy via Wikipedia Commons. Following the decision passed by the executive committee of the ruling party, the Ethiopian People’s Revolutionary Democratic Front (EPRDF), Ethiopia’s new reformist Prime Minister, Dr. Abiy Ahmed, announced that Ethiopia would accept the 2002 United Nations backed border demarcation, paving the way for peace between the two nations. Dr. Abiy Ahmed then paid a historic visit in July to Eritrea, during which he and President Isaias Afwerki of Eritrea signed a declaration ending 20 years of hostility and restoring diplomatic relations and normal ties between the countries. President Isaias Afwerki reciprocated with a state visit to Ethiopia just days later.